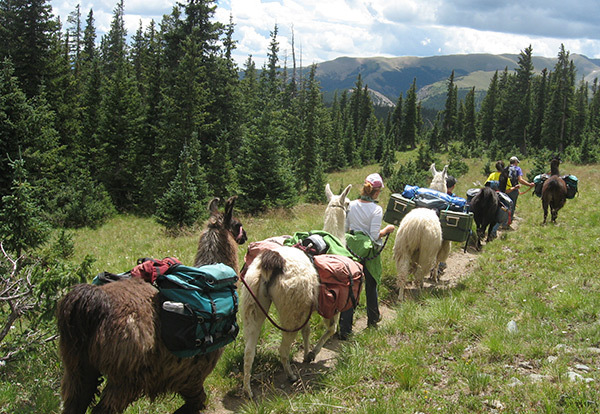 The Olleros – Chavin trek is a great alternative way to reach and visit Chavin, a relatively famous archelogical site. The trek leads across a southern pass of the Cordillera Blanca called Punta Yanashallash (map – to the middle right). 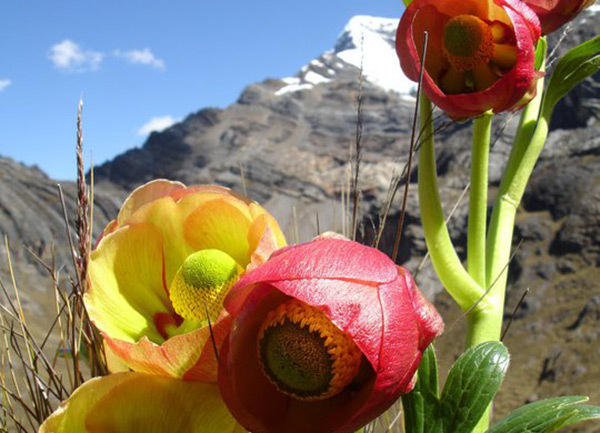 Although the mountain peaks are not as spectacular as either Huayhuash or Santa Cruz, the landscapes are very dramatic and beatiful in their unique way The trail winds its way through some wide open valleys, close to glaciers with some great mountain scenery. The high point is arriving at Chavin de Huantar, an interesting pre-Inca ruin with a complex of underground passages (take a flashlight. 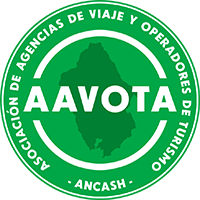 Drive from Huaraz to village of Olleros 3,500m.the gradual ascent to the campsite at sacracancha 3 – 4 hours. 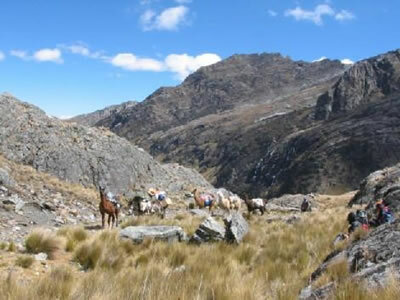 In the morning climb up to the highest point of the trail pass at punta yanashallash 4,700m. and then downhill to shongo campsite at 4,050m. Early season conditions will include seasonal snow cover on the glaciers, while later in the season conditions become icy and the wind increases. We’ve found the period of May-August the best. Although storms can occur, long periods of stable, dry weather are prevalent. 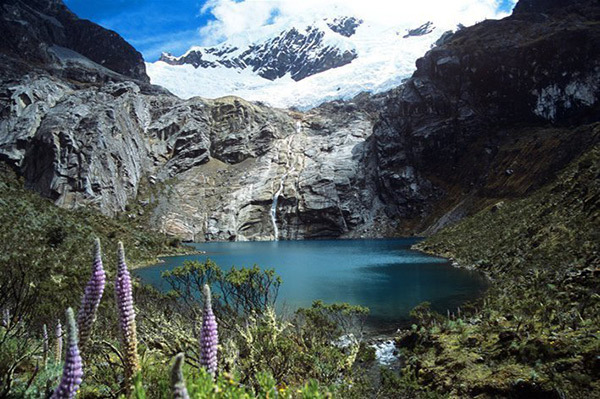 However, like all big mountains such as Huascaran , Ranrapalca, and others peaks of the Cordillera Blanca generate and attract their own weather making it impossible to predict.